Rule the road with the Freewheel Truck Trailer! 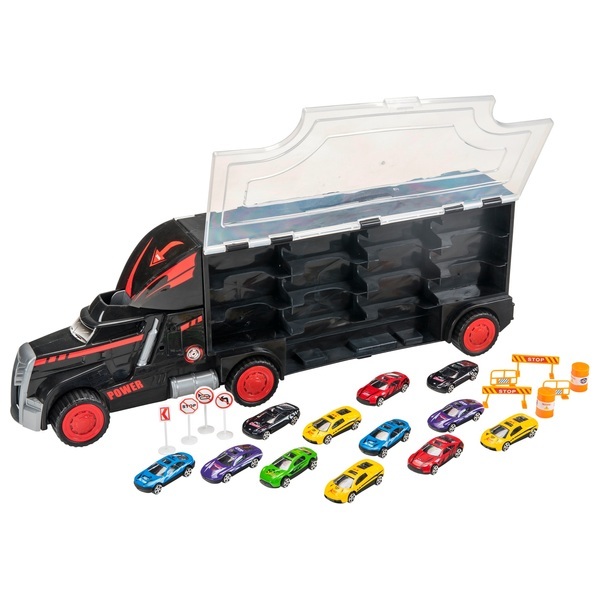 This set comes complete with 12 die-cast cars, 8 different signs and two oil barrels which are all neatly stored in the large truck trailer. This allows you to bring your die-cast cars anywhere for hours of fun!